Chris Offutt is an outstanding literary talent, whose work has been called "lean and brilliant" (New York Times Book Review) and compared by reviewers to Tobias Wolff, Ernest Hemingway, and Raymond Carver. He's been awarded the Whiting Writers Award for Fiction/Nonfiction and the American Academy of Arts and Letters Fiction Award, among numerous other honors. 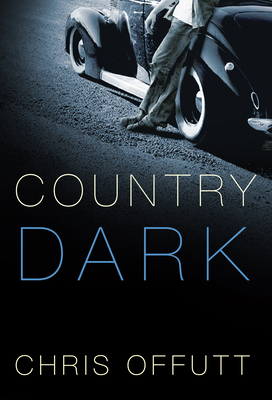 His first work of fiction in nearly two decades, Country Dark is a taut, compelling novel set in rural Kentucky from the Korean War to 1970. Tucker, a young veteran, returns from war to work for a bootlegger. He falls in love and starts a family, and while the Tuckers don't have much, they have the love of their home and each other. But when his family is threatened, Tucker is pushed into violence, which changes everything. The story of people living off the land and by their wits in a backwoods Kentucky world of shine-runners and laborers whose social codes are every bit as nuanced as the British aristocracy, Country Dark is a novel that blends the best of Larry Brown and James M. Cain, with a noose tightening evermore around a man who just wants to protect those he loves. It reintroduces the vital and absolutely distinct voice of Chris Offutt, a voice we've been missing for years.